Many of today’s youth – tomorrow’s leaders – need your help in getting to camp. Experiencing the outdoors is a vital part of a young person’s development. This is where you can help. Help send a kid to camp. He will be forever grateful for your generosity. There’s a good chance it will be the first time he sees a campfire or sees the stars in a sky without city lights. 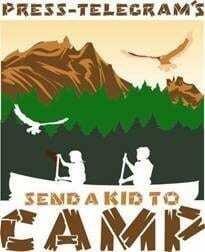 To contribute funds to the Send a Kid to Camp campaign, please contact Cindy Spalding or at (562) 427-0911 ext 211.